The Neurological Institute at Children’s Hospital Los Angeles is working to help all children achieve their full neurologic potential. The Institute’s comprehensive program for disorders and conditions of the brain and mind seamlessly encompasses CHLA’s Divisions of Neurology and Neurosurgery, offering an interdisciplinary destination that houses all of the tools needed to diagnose and treat neurological issues, and the talented experts needed to fully utilize these tools. 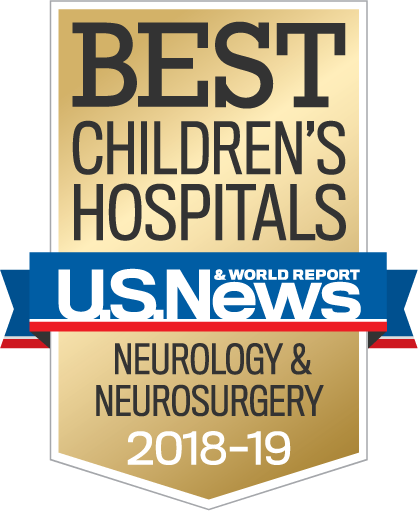 Ranked among the top 10 pediatric centers in the nation for Neurology and Neurosurgery by U.S. News & World Report, the Neurological Institute is run by director, Mark Krieger, MD, head of the Division of Neurosurgery. Institute physicians also work together with divisions and departments throughout the hospital, including Orthopaedics; Plastic and Maxillofacial Surgery; Radiology; Hematology, Oncology and Blood and Marrow Transplantation; Pathology and Laboratory Medicine; and the Center for Personalized Medicine. The Neurological Institute is patient-focused, exemplifying the concept that the best place for pediatric neurological care is a world-class hospital dedicated to kids. Our institution’s high patient volume leads to better outcomes—our physicians see disorders on a weekly basis that community hospitals may see once in a decade. The Institute focuses on getting children the right treatment in the right timeframe—because when it comes to a child’s neurological development, time is of the essence. Our physicians listen and work closely with patient families to determine the proper, personalized diagnosis and treatment for their child. The Institute is built on four supporting pillars: clinical care, research, education and advocacy. Our numerous accredited and certified programs offer the best possible care for the best possible value, treating children with neurological issues of all kinds. A multidisciplinary destination for premier neurologic care, the Neurological Institute brings together the renowned programs and services of the Divisions of Neurology and Neurosurgery to help children achieve their full potential. Year after year, CHLA is recognized for its expertise in this field by U.S. News & World Report. In 2018, the Neurological Institute was ranked No. 9 in the country and the top program of its kind on the West Coast. Children’s Hospital Los Angeles, part of the USC Keck Medical System, is pleased to announce openings for our ACGME-accredited pediatric epilepsy fellowship for Academic Years 2019-20 and 2020-21. Our group has considerable clinical and neurophysiologic resources. We have 5 pediatric board-certified epileptologists with a busy epilepsy surgery program offering ECoG-guided resections, phase II studies with implanted grids/strips and depths, stereo-EEG, EEG source localization and minimally invasive laser ablation. We have a large VNS program and are initiating pediatric RNS. We follow over 100 children on either ketogenic diet or modified Atkins diet with the help of two full time dietitians. We have a robust epilepsy drug study program with over 10 active studies. CHLA has an active outpatient EEG lab, a dedicated pediatric EMU, and neuro-critical care EEG monitoring. Our Comprehensive Epilepsy Clinic includes an Epilepsy Surgery Clinic, Diet Therapy Clinic, Epilepsy Genetics Clinic and New Onset Seizure Clinic. All fellows have the opportunity to participate in a research projects during their fellowship mentored by one of our epileptologists. We have a strong epilepsy genetics lab with all genetic testing now done in house at CHLA. Being the largest Children’s Hospital in Los Angeles, we serve a diverse population and see the full spectrum of pediatric epilepsy. For more information please contact Dr. Deborah Holder, Program Director at dholder@chla.usc.edu, or visit the Pediatric Epilepsy Fellowship webpage. The Division of Pediatric Neurosurgery, an affiliate of the University of Southern California, is offering a post-residency fellowship clinical position to begin July 1st. Applicants must be eligible for a California Medical License and have completed a Neurosurgery Residency. Our hospital is a premier children's hospital with a full range of pediatric services: 750 operative procedures per year which includes an extensive neuro-oncology, craniofacial, epilepsy, and functional experience. For more information, please visit the Pediatric Neurosurgery Fellowship webpage. The child neurology residency training program seeks to produce physicians who are experts in the care of children with both acute and chronic neurological diseases. Our dedicated teaching faculty from multiple backgrounds will help assist you to achieve your career goals, whether academic, clinical, or educational. Our past residents have had great post training success and have a 100% board passage rate over the past 5 years. To make your child’s visit for neurological evaluation most valuable and efficient, please arrange to bring the following. Bring all relevant records from visits to physicians. In particular, reports from neurologists that your child may have seen previously will be very helpful to us if you are coming to our hospital for a second opinion. We prefer to receive test results on CD-ROM (wherever possible) or on X-Ray film. In addition to bringing a complete list of ALL medications your child is currently taking, please also include a list of all medications previously tried for the condition. If your child is coming to us for headaches, bring your headache diary. (Newly referred headache patients are sent a detailed questionnaire and asked to keep a headache record for two to three months prior to their first appointment). If your child is coming to us for seizures or epileptic behavior, bring your seizure diary. If your child has intermittent symptoms which are unlikely to be present during the visit, it can be extremely helpful to have a video to show the doctor. Even a short segment showing abnormal behaviors or movements can help us make a diagnosis, and avoid other unnecessary procedures. Bring the camera or device to play it back. Do not plan to bring it on CD or memory card as we may not have ability to play it. 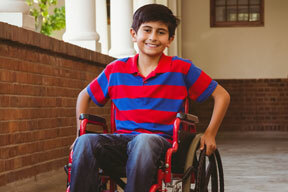 Does your insurance cover your child at CHLA?